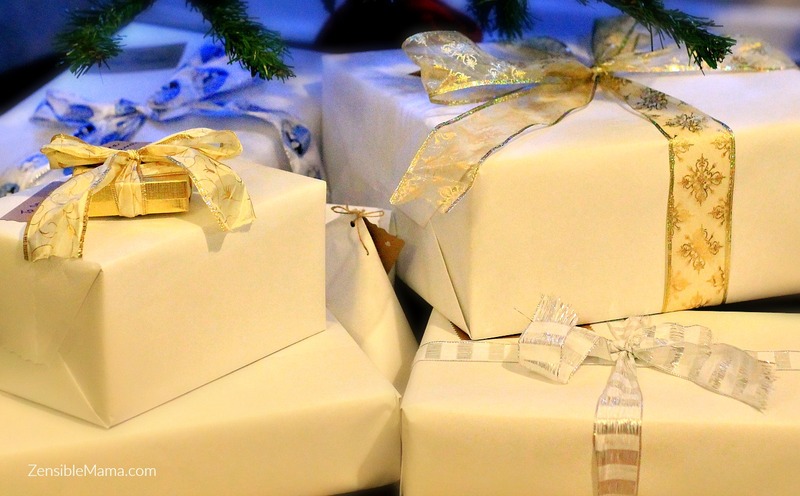 According to consumer analysts, extreme last-minute shoppers will wait until the very last-minute to shop for gifts this year. Meaning, there will be a lot of rushing and insane mad dash to the mall all the way to December 24th. Not an ideal scenario. But if you're one of the extreme procrastinator, no worries, we've got you covered. I hope. 1. Gift cards. They're quick, easy and almost all stores offer their own gift cards now. Who can resist free coffee, free meal, free massage or the best yet, spending money to shop at their favorite store? Personal experience: There was one year where all I got for my birthday and Christmas gifts was nothing but gift cards! It was an odd year but I had a blast. I was able to buy stuffs that I really liked. And went shopping like a true shopaholic. 2. DIY Gifts - If you're creative and love DIY, then make use of your talent! Your own creations makes for a great gift and makes it more personalized. 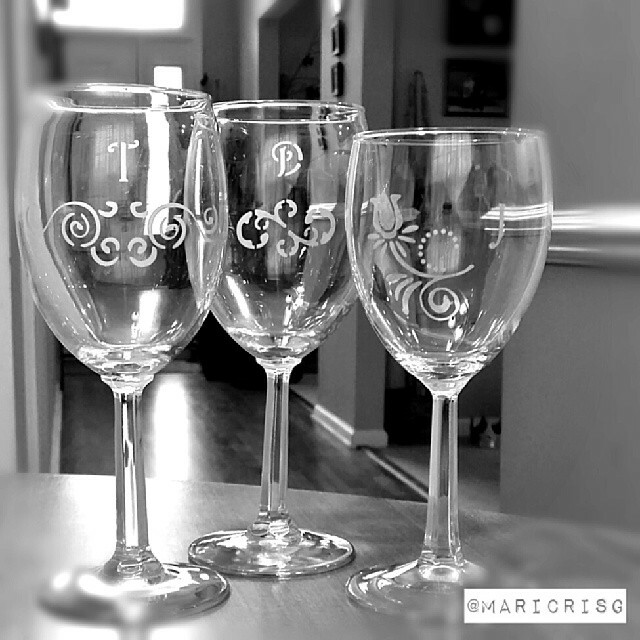 Try your hands on Glass etching. They're quick and easy to do. 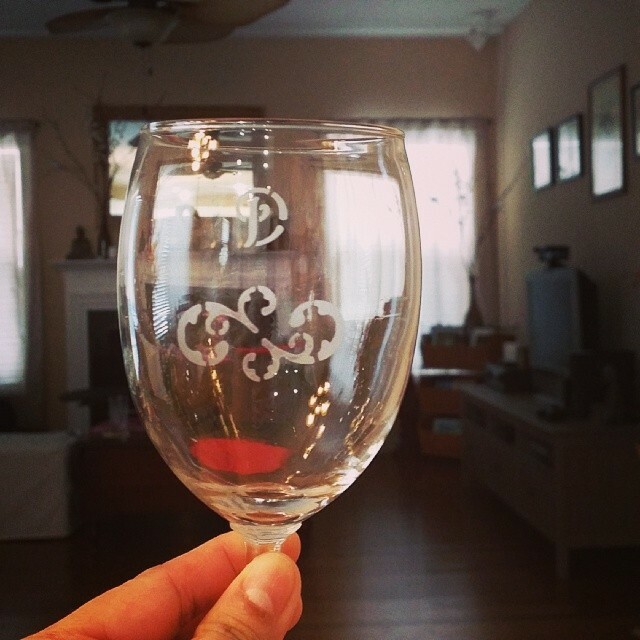 Etch your recipient's initials on a wine glass, and for good measure throw in a bottle of wine! Cheers. Personal experience: I made these for friends last year and it was a big hit! They're also priceless because they were personalized specially for the recipient. I recommend Armour Glass Etching cream. 3. Chocolates. Always a winner. Grab a gift set or two at your favorite grocery. That easy! Or you can grab them at your local warehouse store for bulk options and save some bucks! 4. Homemade Baked-Goodies. If you love to bake, you won't go wrong with yummy breads and chocolate candies made straight from your oven and with your own hands. Personal experience: We're doing it this year. We're also sending them across the pond, lakes and states. No-brainer idea. It's also very original. 5. Winter apparels. With El Nino wreaking havoc all over the country, Winter clothing and accessories are a great option for those recipients living in States hammered by snow. As for those who's not, you get a good deal because right now, they're heavily discounted due to the lack of "winter" in the Winter season! Top recommendations are scarves, gloves and hats. They're one size fits all! Takes the guesswork out of your equation. And hey, if they can't use it now, they can - next year! See? Win-win. Psst! If you want something totally unique and handmade, you can support your local artisans by purchasing items from them as well. Local artisan like myself. 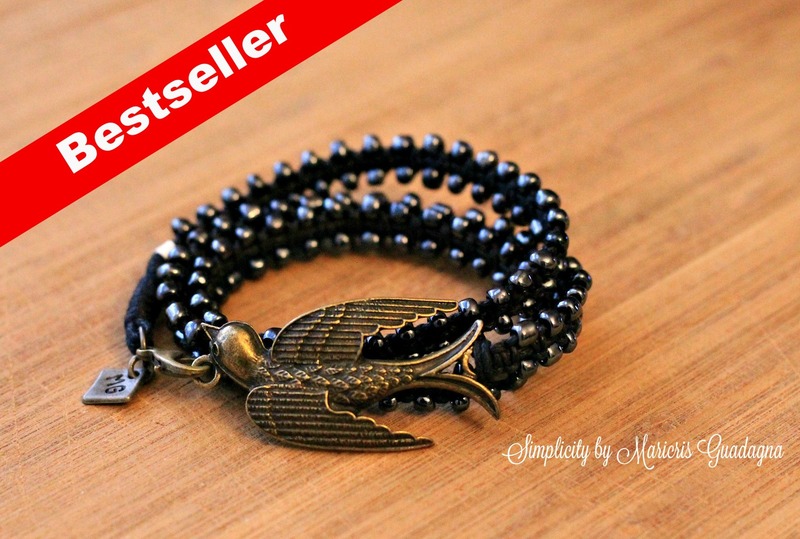 Want to check my handmade creations like this one? Ode to the Mockingjay - this have sold out but will return to the shop soon. Now off you go shopping!